Sleeping Beauty Or Lazy Lucy? I haven’t been writing much lately, and I believe there’s several different reasons. One of them, if I’m just being honest, is that I’ve gotten rather lazy. I’ve been sleeping late which is so unlike me! Another reason is the old saying if you don’t have nothin’ nice to say, then don’t say nothin’ at all. There’s so much going on in this world right now, and emotions are running so high, that I don’t ever want to use the platform God has graciously given me to “set anyone straight” so to speak. Does that make sense? I don’t want to ever use this blog to inadvertently take a jab at someone. Now, I can’t say I’ve never done that! Most likely though, if I write about something and you feel it was directed towards you, it’s the Holy Spirit convicting you! I try my best not to use this blog in any wrong capacity. I’m extremely human though, and my flesh has gotten the better of me at times. I will say this though! People have a right to state their opinions. If I state my opinion and you don’t agree? Feel free to share your opinion, but don’t bash mine! Like I said, I’m human and sometimes my flesh shows! Another reason I’m not writing much, is that there are things God has told me to do that I haven’t done. We’ve all been guilty of not doing things God tells us to do. If you tell me you do everything God tells you to do, I’ll probably look at you as if you have a third eye growing from your forehead, and immediately start praying that God will help you stop lying! That being said, y’all pray for me to have the guts (aka to trust God enough even when I’m scared and unsure) to do what He’s called me to do! I’ll tell y’all this. There’s a spiritual battle going on! We really need to be praying like crazy for each other. Think about this. Every single thing in this life is spiritual! ALL THINGS POINT BACK TO GOD! NOTHING is coincidence or happenstance. We are ALL spiritual beings. Even if you don’t believe in God, sorry about your luck, those things are true! If you don’t know Jesus, I’m asking you to simply consider checking this whole Christianity thing out! What have you got to lose? Look at it this way. Even if you choose not to believe, you’ll gain some good, basic life principles!! 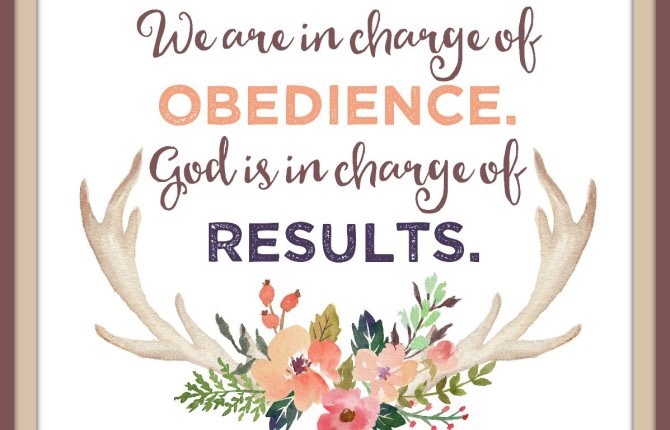 Posted in Daily devotional.Tagged current events, God, humor, Inspirational, obedience. Previous Post Breaking News! Our Lives Matter To God! Next Post Foreskin And Loving Others. What Does One Have To Do With The Other? !